An excavation in Dovedale, Derbyshire by archaeologists from the National Trust, University of Leicester Archaeological Services and Operation Nightingale Heritage has unearthed a hoard of Late Iron Age and Republican Roman coins, the first time coins of these two origins are thought to have been found buried together in a cave in Britain. 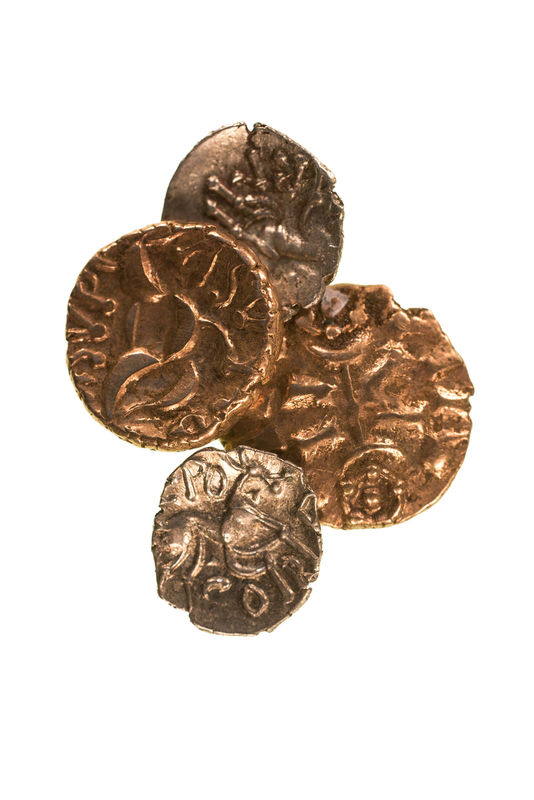 The discovery at Reynard’s Kitchen Cave is significant, not only is it unusual to find Late Iron Age gold coins, but to unearth them actually within a cave setting adds to the mystery surrounding them. 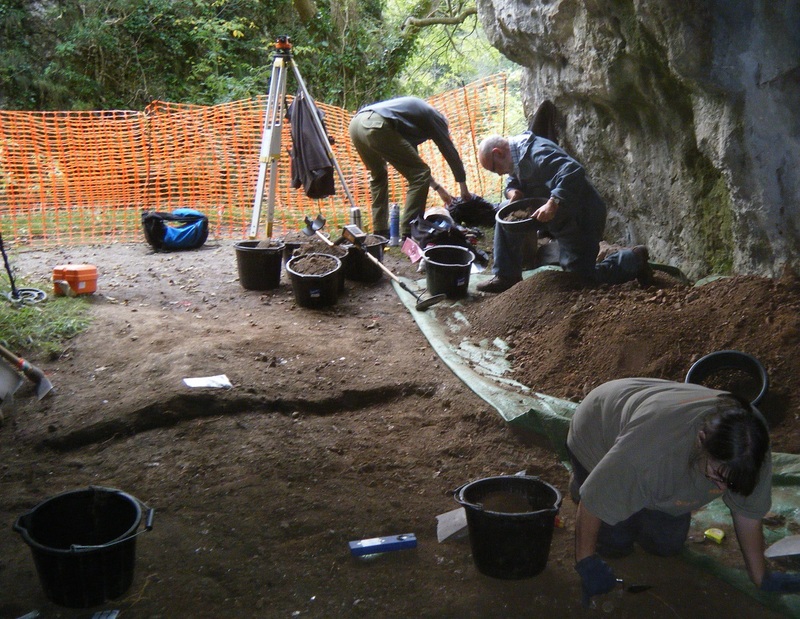 Reynard’s Kitchen Cave in Dovedale is known to have been used at various times over the last 10,000 years. An earlier excavation had revealed pre-historic flints, animal bones, pieces of pottery and other evidence of occupation. The initial discovery of four coins was made by a member of the public, a local climber who had been sheltering in the cave during heavy rain. The climber happened to have a small pin-pointer metal detector in his climbing bag. Whilst waiting for the rain to pass he scanned the area next to where he was sitting with the detector and made the discovery of the coins. Following the discovery, the climber reported the finds to the Derbyshire Portable Antiquities Officer and then the National Trust. “Twenty other gold and silver coins are Late Iron Age and attributed to the Corieltavi tribe. The tribe is more usually associated with occupying areas further east during the Late Iron Age, where the tribal centres are thought to be Leicester, Sleaford and Lincoln. So, it is interesting that this find is where it is in Derbyshire. Could this area have been a previously unknown power base of the Corieltavi tribe? The Corieltavi tribe are known to have lived in the East Midlands, between the rivers Trent and Nene in the Late Iron Age, shortly before the Roman Conquest of AD 43. They were largely agricultural people who appear to have been a federation of small, self-governing tribal groups. In the Iron Age, the Corieltavi tribe are only known from their coins which they began to produce in the middle of the 1st Century BC. Early examples don’t have names on, but later examples like those at Reynard’s Kitchen Cave feature one, two or three names, suggesting they had multiple rulers. The group tended to live in villages with some larger tribal centres perhaps including Sleaford and Lincoln. However, by the Roman period, Leicester became their capital. Rachael Hall further added “Coins hoards of this era in Britain have been found in fields and other locations but, as far as we know, not in a cave which raises some interesting questions. “The coins would suggest a serious amount of wealth ‘power’ of the individual who owned them. Coins were used more as a symbol of power and status during the Late Iron Age, rather than for buying and selling staple foods and supplies. Was an individual simply hiding his ‘best stuff’ for safe keeping? Or, perhaps speculating, in the hope that the value would increase in the future, like a modern-day ISA? Joanne Richardson, who spent 10 years in the military and was part of the excavation team, says: “This was the first archaeological excavation I’ve ever taken part in and it was brilliant. Rachael Hall adds: “The Corieltavi was made up of a number of other small tribes or clans who would come together for the common good, so it’s fantastic that we’ve joined with Operation Nightingale and other organisations and individuals to carry out the excavation and to learn more. 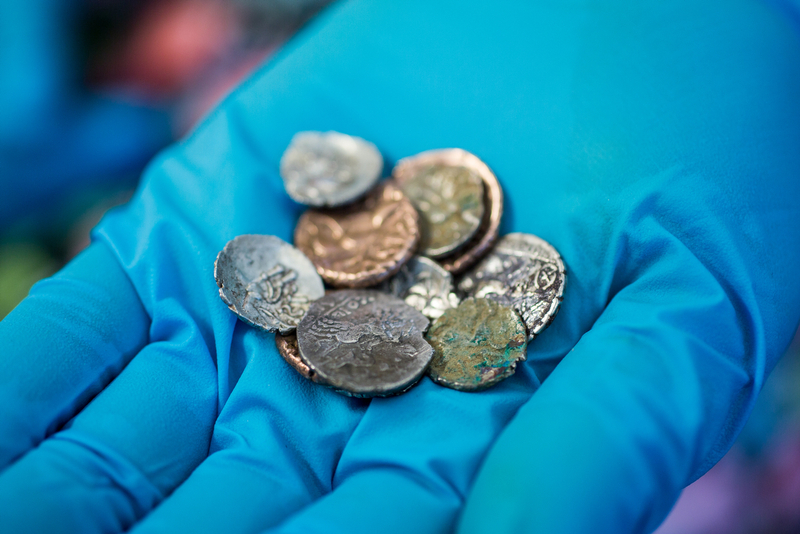 The coins have been cleaned by conservation specialists at the British Museum and University College London and will go on permanent display at Buxton Museum later this year. One other significant find included a decorated Roman ‘Aesica’ type, circa mid-first century AD. It has a central rib and fantail foot which is decorated with incised grooves which form a ‘V’ shape. Aesica was a Roman fort in Northumberland, believed to have been completed in 128 AD and was the ninth fort on Hadrian’s Wall. An excavation of part of the site was carried out in 1959 by the City of Stoke Archaeological Society. This uncovered a suite of finds from Neolithic to medieval age, some of which are on display in the Buxton Museum. None of these were as significant as the discovery of the Late Iron Age and Roman coins. 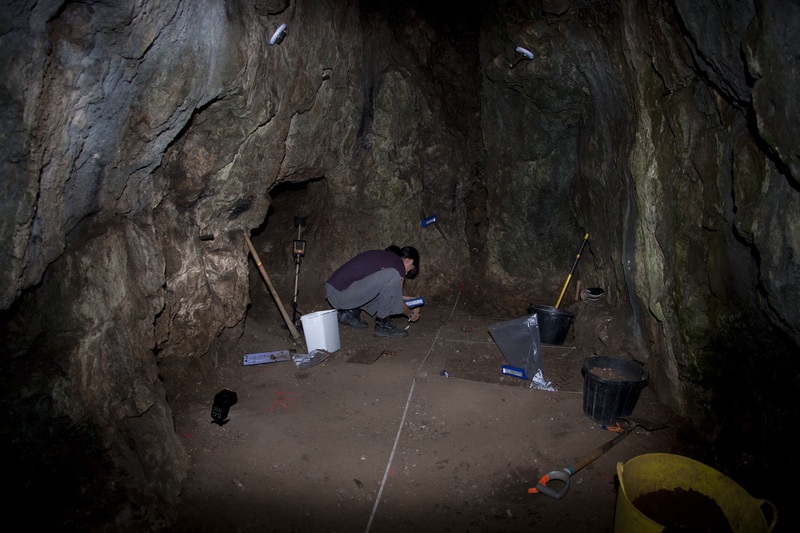 The 1959 excavation only covered a small area of the cave. It is quite possible that they just missed out on discovering the coins. There are unsubstantiated reports from 1927 (Wilson, Rev. G. H., Cave and Crags of Peakland) of a coin hoard in the cave. We don’t know for sure but it’s possible they were looking for this.